Crashes are a much bigger problem for the people of Texas than congestion. About 10 people die every day in the Texas transportation system — more than in any other state. Unlike congestion, which imposes a small, annoying daily cost on a lot of people, crashes tragically alter the lives of about 60 Texas families every day. Last year 3,721 people died, and 17,546 suffered life-changing incapacitating injuries. Demolishing old ramps at the busy Texas 288 and Loop 610 interchange will lead to major detours — and big-city headaches for motorists — for three of the next four weekends, starting at 9 p.m. Friday. Only the Labor Day weekend, when many people travel, will be spared the weekend closures of both freeways through the interchange, based on the schedule released by Blueridge Transportation Group, the firm building toll lanes along Texas 288. Austin police are set to begin using drones to help them investigate fatal traffic accidents. The Austin American-Statesman reports that the use of drones will cut down the time officers spend gathering evidence by as much as 80 percent. Austin police are set to hold several hearings over the next two weeks to inform the public about how the drones will be used. Police Lt. Blake Johnson says current investigations of fatal traffic accidents can often take up to three hours to complete. Motorists sick of sitting in traffic on Texas 121 in Bedford will get some relief by 2020, in the form of an unusual traffic fix. The solution involves allowing motorists to drive on the shoulder of the four-lane Texas 121 in Bedford — a practice that normally would be illegal. You’ve probably heard the story. Don’t buy a red car because that’s the color of vehicle police stop the most for speeding. Know this, red car lovers: It’s a myth — at least in Texas. Coastal Bend residents have all been stuck behind a slow drive in the left lane. 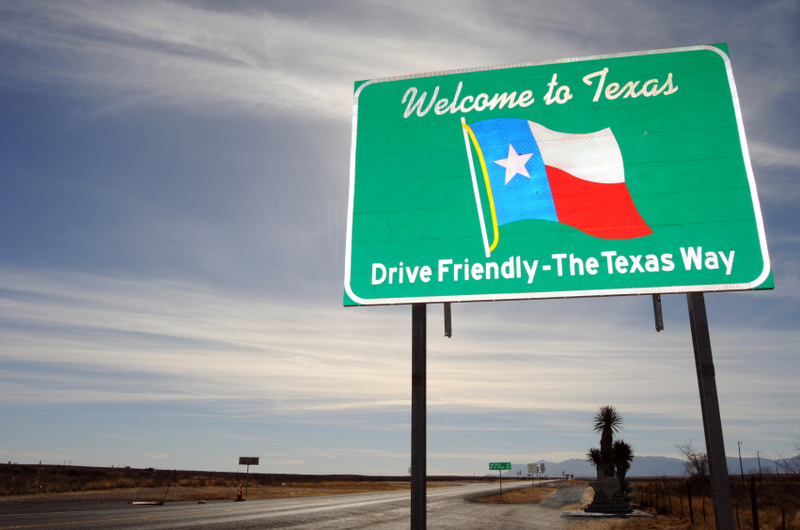 It is illegal in the state of Texas to drive on the left when you're not trying to pass someone. Left-lane passing law was first enforced back in 2013 but is still often ignored by many drivers on the roads - driving slowly in the left lane -which is only meant for passing others. Red light cameras don’t cut down on accidents or make intersections safer, a new study shows. True, fewer motorists may blow through red lights, cutting down on T-bone type accidents. But the trade-off is that there are more rear-end collisions as drivers slam on their brakes to avoid going into the intersection and are hit by vehicles from behind. Many Central Texans have pay to drive to and from work on toll roads because lawmakers have not been able to find the money to pay for free highways without raising taxes. A new proposal from a Texas advocacy group could hold the keys to many road projects, including the overhaul of Interstate 35 in Austin. On a Friday afternoon in late June, Cassandra Pappas showed up at a municipal building in northeast Austin with hopes she would be able to reclaim a final piece of her life after six years of sobriety. Pappas, 35, was there for an event called a Driver’s License Recovery Clinic that she had heard about through her Alcoholics Anonymous sponsor. A new program run by the City of Austin and the legal advocacy group Texas Fair Defense Project, the clinic is aimed at helping people whose driver’s licenses have been suspended solely because they can’t pay traffic tickets. In Texas, a law banning texting while driving went into effect one year ago, on Sept. 1, 2017. Since then, law enforcers have been watching for violators — and issuing tickets. As millions of Texans prepare for end of summer road trips, newly released statistics highlight the rising danger of distracted driving in some Texas counties. In particular, Dallas and Harris Counties experienced year-to-year increases in the number of people killed due to distracted driving crashes, according to 2017 statistics released by the Texas Department of Transportation. Texas has some of the worst drivers in the country. A new study ranks Texas tied for the fifth worst state. Look out for those bright yellow school zone signs. Drivers are required to follow the speed limit instructions posted on these signs. Some signs have flashing yellow lights that tell you when the speed limit is in effect, and others have times listed on the sign. Either way, slow down or expect a ticket.